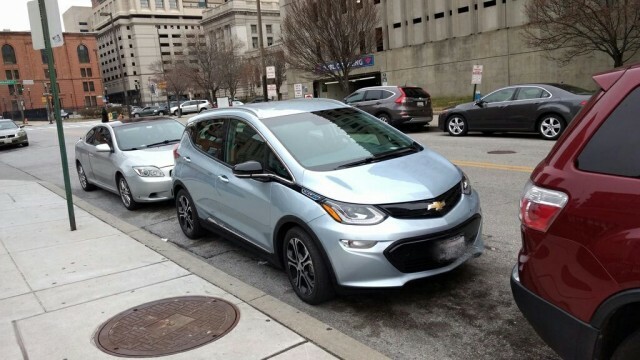 We've had a 2017 Chevrolet Bolt EV electric car in our fleet for a handful of days, and have been thinking about our impressions of the car in everyday use. While a major snowstorm cut half the days out of our test run—with a 7-foot snowdrift blocking the road to my house—we've been using the Bolt in and around the New York City metro area. 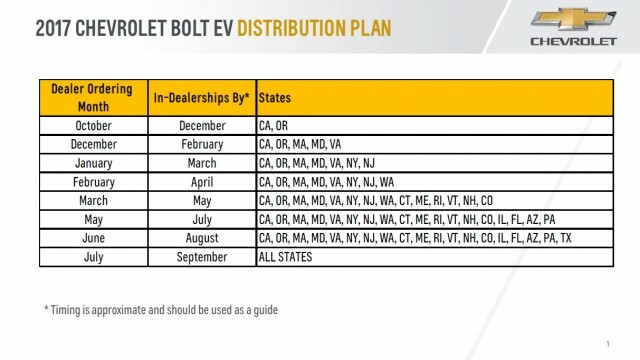 With the the car's arrival delayed (at our request), we dug into what early Bolt EV owners were saying about the car. "You can easily squeal the tires off the line, even in power-reduced mode! Ro loves the Low ("L") setting on the drive selector that boosts regenerative braking substantially and permits one-pedal driving. He says, simply, "It's huge!" "The driver's dead pedal is positioned better (deeper) in the Bolt than in the second-generation Volt. "The ride is solid, and very similar to that of a Volt. You don't get bounced around on a rough road as you do in a BMW i3, with its bicycle-thin tires, for example. "Interior space is....spacey! I am 6 feet tall, and with the driver's seat set at a comfortable level, I have at least 4 to 5 inches of headroom to spare. 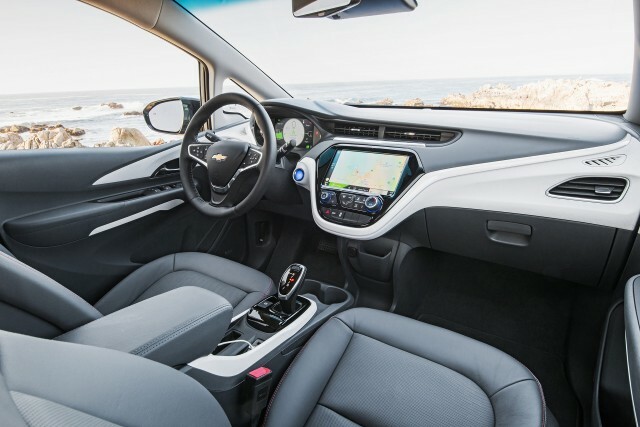 The Bolt's front seats also sit much higher than those in the Volt, so it's more like an SUV seating position despite the subcompact footprint. "While I would describe getting into the driver's seat of my Volts as "dropping in", in the Bolt, it's more like sliding in horizontally. "Putting the driver's seat at a comfortable position for me (further back than I usually position the seat in my Volts), and then hopping in the rear, I still had a good 2 to 3 inches of leg room. And I have longer legs than the average 6-foot-tall person. 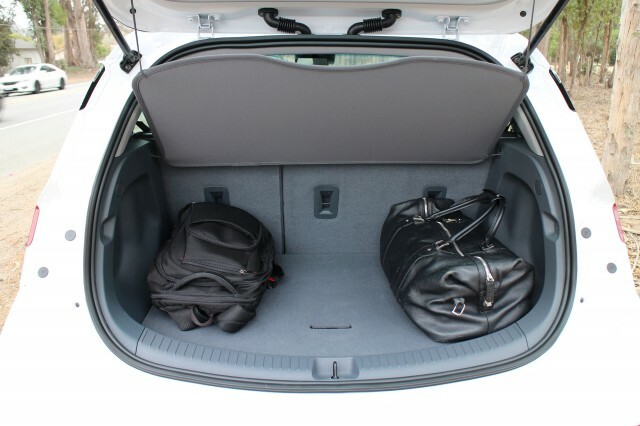 "The flat floor makes the rear seating area much more spacious than any Volt too. There's no hump of any kind back there thanks to the skateboard battery design. Having a "real" middle rear seat is welcome too (though sitting three adults in the back would still be tight). "I found with 2 booster seats in the rear, I could squeeze my 190-pound self in the middle, though that wouldn't be pleasant for any long distance drive. Moving a car seat to the middle should make a trip much more pleasant for an adult in the rear, however." "I've seen complaints about the front seats being uncomfortable. I know what people are talking about, but I don't find the seats bothersome—although others may not agree. "I can feel the plastic shell through the cushion with my left thigh, but likely I'll get used to that over time. "The Bolt EV has grab handles in the front! At least on the front passenger side. "But the interior of the Bolt is definitely cheaper than the cabin of the second-generation Volt. More hard plastics are used, though I don't care too much about that. "The cargo privacy screen that comes with the Premier is a glorified loin cloth. It's fabric covering a wire frame. There's no way you can actually put anything other than light clothing items on it, even including a hat or gloves. "Anything bigger than a 5.5-inch smartphone likely won't fit into the wireless phone-charging slot. But I wasn't able to test that feature, since my Moto Droid Z Play needs some accessory to enable wireless charging. It fit snugly, though, at 5.5 inches without a case. "The hatch space is deceptively bigger than you would think. The hatch area isn't as long as the Volt's, but it is much deeper. "I could easily have fitted a third as well, maybe even four of the 28-inch pieces." 'The rear-view-mirror video display for the rear-facing camera is pretty cool. It gives a crisp image out the rear. It's not that useful at night, though, so luckily it changes back to a regular mirror with a flip of the tab at the bottom of the mirror that usually dims the mirror. "My Bolt EV has some kind of head-up display for the Forward Collision Alert and Automatic Emergency Braking. The FCA activated once when I was rapidly approaching some cars that were slowing down on the highway. Red lights lit up in the lower-left corner of the windshield, along with rapid, audible beeping. "I found that a button on the left side of the steering wheel lets you adjust the FCA (it offers three levels of sensitivity). Also, in the vehicle menu, you can select from options for the combination of FCA and AEB: "off", "Alerts on, AEB off", and "Alerts on, AEB on". "It also has a Following Distance display you can choose to tell you how many seconds ahead the car directly in front of you is. I guess it's useful if you want to know exactly how far behind someone you are? "The bird's-eye view and front camera give you plenty of info to see exactly how far away from a car or wall you are when parking. They make parallel parking a breeze; if you can't park using those features, you need your license revoked. "But there are no front parking sensors to trigger audible beeps that clue you in on how close the front of the Bolt is to a car or wall when parking (like in my '12 Volt with that feature). I guess GM decided they would have been overkill? "The rear cross-traffic alert system activated once when a car was approaching from the right as I was getting ready to reverse out of a parking spot. "I haven't tested the front pedestrian-braking system yet. If someone in the Central Maryland area wants to be a guinea pig, let me know. You'll have to sign a waiver that says it's not my fault if my Bolt runs you over, though." 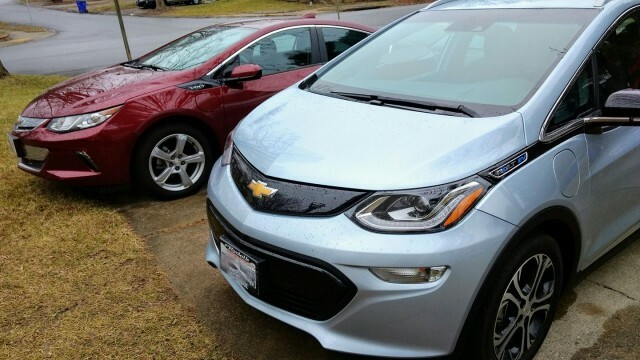 We thank Brian for letting us use his photos and share his thoughts on his new Bolt EV.